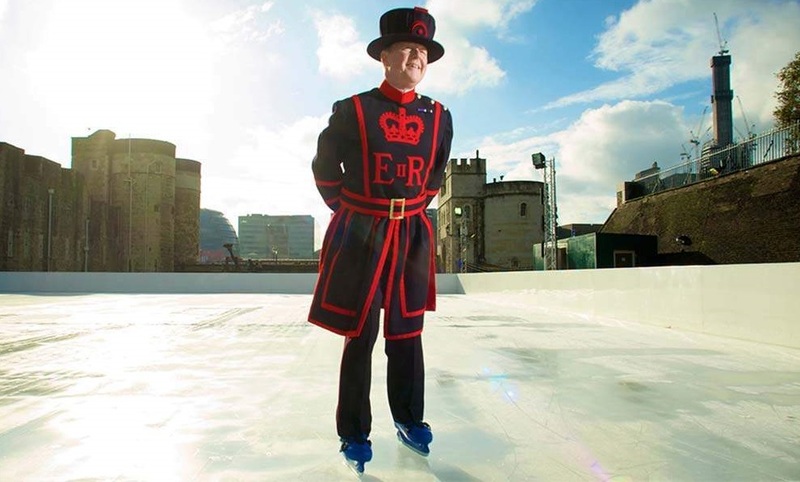 Skate against the magnificent backdrop of the Tower of London. Head to Cambridge’s North Pole on Parker’s Piece and enjoy the Traditional Christmas Market too. The Natural History Museum rink is another favourite. Go for an unforgettable skate at Hampton Court Palace. Rather watch from the sidelines? Witness thrilling, high-speed action at Ally Pally with a Family Ticket to an Ice Hockey game. Get lost in Disney On Ice presents Passport to Adventure at The O2. Head to Oxford Street of an evening for its 58th Christmas display which contains over 1500 decorations. Visit Canary Wharf for innovative, artistic and interactive installations and sculptures. Best viewed after 5pm! Book a Christmas Lights Bus Tour and see London’s lights from a whole new perspective. Southbank’s Nordic chalets are back and filled with festive treats. Plus there’s plenty of other activities on for families as part of Southbank’s Wintertime festival. 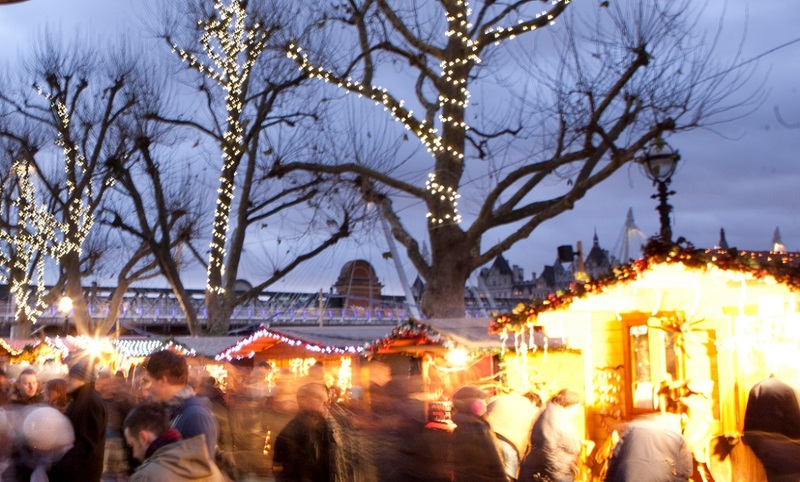 From gifts to mulled wine, there’s something for everyone at Christmas in Leicester Square. Enjoy family festive-themed craft along with a traditional Farmer’s Market at the Horniman Christmas Fair. Make the most of London Bridge’s Christmas by the River and a stunning view of the iconic Tower Bridge. 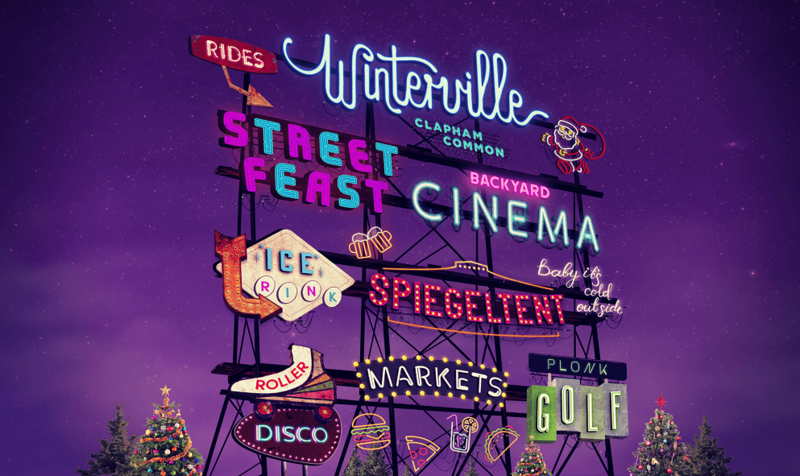 Check out the festive fun at Winterville on Clapham Common which is free to enter. See LittleBird’s savings on Winterville activities here. Venture to the iconic Winter Wonderland at Hyde Park. Enter a Nordic-inspired forest as Exchange Square, Broadgate is transformed into The Winter Forest. Perhaps the cinema is more up your street? Enjoy a Merry Elfmas with the kids at Groombridge Place in Tunbridge Wells, including treasure hunts, shows and magic! 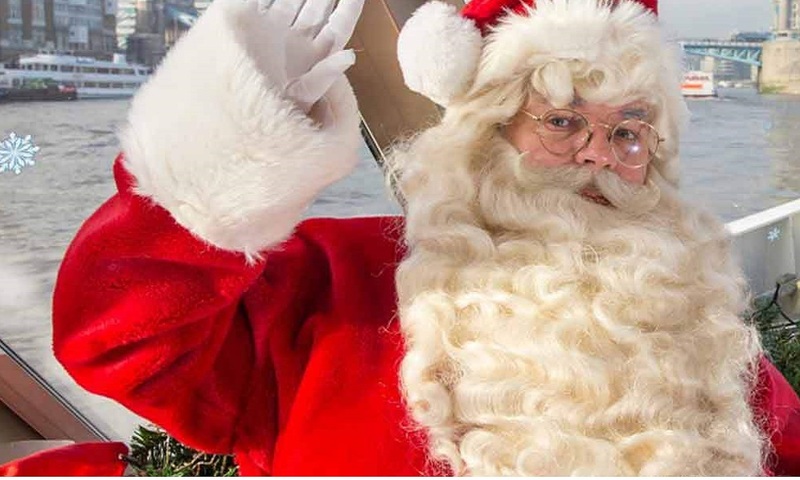 Visit The Hop Farm in Kent for festive fun and a chance to meet Father Christmas. Go for a Santa Sleepover in a Dino Den at Gulliver’s in Milton Keynes! Pay a visit to Santa in his grotto, in Santa Land at Hyde Park’s Winter Wonderland. Winterfest at Crystal Palace have also got a free grotto that kids will love. Incentivise that Christmas shopping trip with the kids with the promise of a visit to Santa’s grotto at Westfield or Romford Shopping Hall. Join Santa on his special train and enjoy festive family fun at Epping Ongar Railway. Sail with Santa from Tower Pier and see some of London’s best landmarks whilst enjoying Christmassy fun! Head for a sleepover at the Natural History Museum with their Dino Snores. Visit the V&A for a host of Christmas fun, including their ‘Singing Tree’ installation in the Grand Entrance. Check out the Royal Institute’s Dr Karl’s Christmas Crackers event, where Dr Karl will answer some of the biggest burgeoning science questions about Christmas! Explore the night sky as the Winter solstice approaches at the Royal Museums of Greenwich, The Sky Tonight: Christmas Stars event. Head to Canary Wharf for festive activities, from face-painting to bake-off! Whilst you can’t rely on British Winter for snow, you can rely on good old A4 white paper and a pair of scissors to make your own snowflakes. Find snowflake templates here. 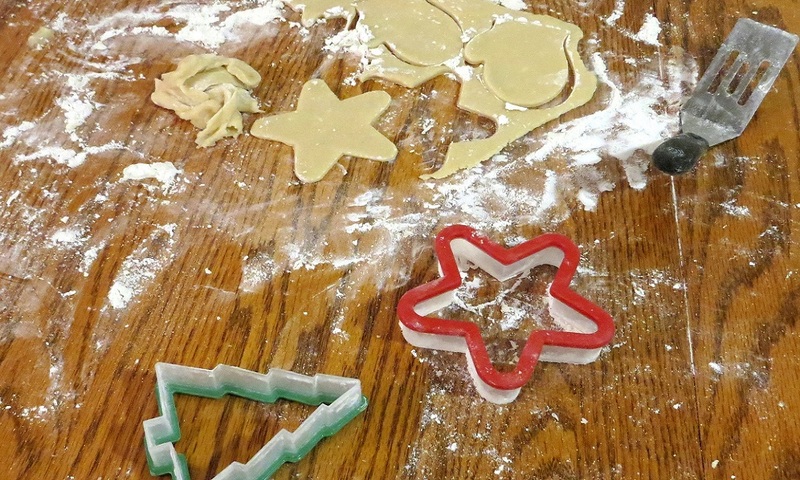 Make your own salt dough tree decorations. Jazz up baubles by creating marbled patterns using different coloured nail varnish in a tub of water. Check out BBC Good Food’s Christmas recipes to cook with the kids. Build a gingerbread house. You can always find DIY sets at IKEA, John Lewis and Asda. Christmas biscuits are always fun to decorate and make great gifts for teachers and neighbours. Who doesn’t love carol singing?! Try Westminster Abbey for Christmas concerts and carol services. They’ve got a free Christmas Family Day and Carol Sing-a-long on Saturday 9th December from 10am – 2pm. Go to Trafalgar Square to see the impressive iconic Norwegian Christmas tree. Don’t miss the lighting of the tree on 7th December at 6pm. See a beautiful display of 40 mistletoe-clad chandeliers at Covent Garden plus a 22ft tall reindeer! Tag us in your photos @littlebirddeals and hashtag #littlebird so that we can see what you get up to! Plus, don’t forget to check out LittleBird for tons more ideas and sign up to one of our newsletters to get updates straight to your inbox. Please note there is no free santa’s Grotto at Canary Wharf jubilee place this year. It’s a shame because it really was excellent but I’ve been in touch with Canary Wharf and it’s definitely not on. 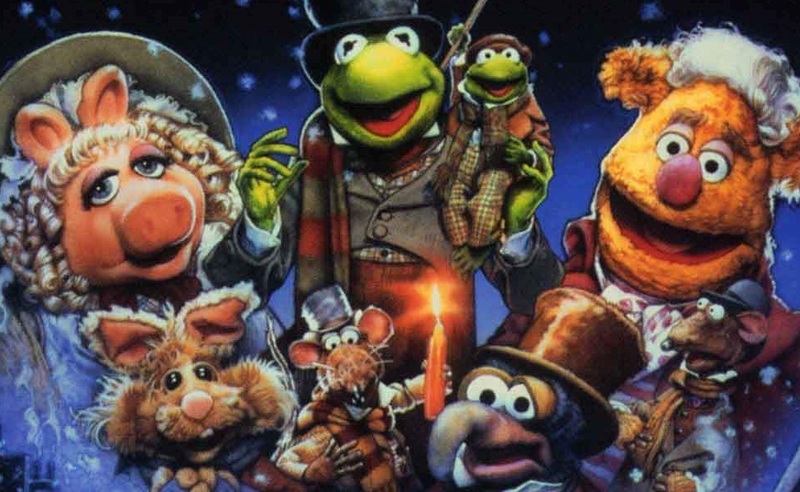 There’s a Christmas cinema instead in aid of Richard House children’s hospice. Might be worth updating listings to avoid too much disappointment. Thanks for your comment and for highlighting this. When this blog was written we did research this grotto so are surprised to hear it is no longer taking place. We will update the blog accordingly.